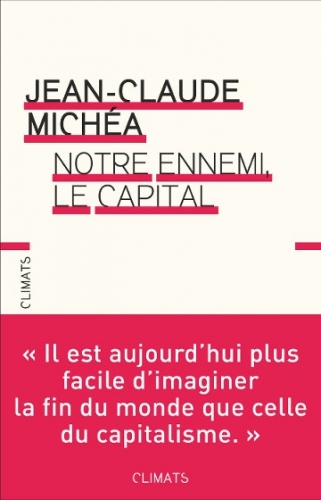 The title of Michéa’s book might arguably be Our Enemy: Liberalism, since it is against the liberalism of the affluent that his ire is directed. The word liberal has slightly different connotations in France and the Anglophone world. In France, liberalism is primarily the ideology of faith in free markets with minimal state interference, “those who lose deserve to lose, those who win deserve to win”; and secondly, the expression of an ideology of individual freedom from social constraint. Michéa distinguishes two radically different trends at the heart of socialist/emancipatory movements in history. 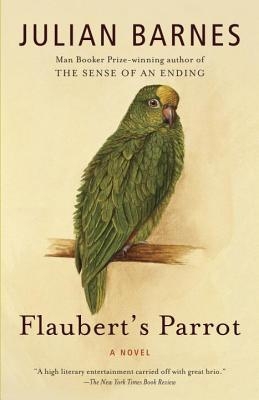 “In fact, socialism and the Left draw on, and have done from their very beginnings, two logically distinct narratives which only in part overlap.” (p. 47) Put simply, one is the doctrine which seeks the emancipation of the working class, that is to say, the de-alienation of all who work in society, a society organized from the bottom up and based in the organic community, while the other is the Left-wing notion of progress, the ongoing struggle to free individuals from social restraint or responsibility, for minority rights and abstract issues in the name of progress, a demand from the top down. This latter kind of progressive politics, according to Michéa, is not only not opposed to global capitalism, it undermines the very kind of social solidarity which should be expected to oppose global capitalist growth. Michéa understands the liberal element of parties of progress as being fundamentally anti-democratic, echoing here the distinction made by the French thinker, Alain de Benoist, between democracy and liberalism. 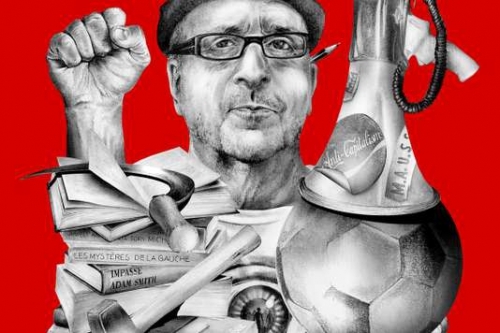 Liberalism, obsessed with minorities and what another socialist, George Galloway, famously mocked as “liberal hothouse” issues, is not in principle opposed to the centralization of economic power at all, according to Michéa. Quite the contrary. It is, however, opposed to democracy, that is to say to any entitlement giving a role in the allocation of power to the majority of the people and of any entitlement to a nation to decide its own destiny. In short, liberalism extends economic sovereignty at the expense of political sovereignty. Michéa appeals to the notion highlighted by George Orwell (whom he greatly admires) of common decency, morality, and social responsibility. But liberalism, notes Michéa, has become the philosophy of skepticism and generalized deconstruction. There is all the difference in the world between a socialism of ordinary folk and a socialism of intellectuals, the latter being nothing more than a championing of causes by a deconstructivist elite. Liberalism is the philosophy of “indifferentiation anchored in the movement of the uniformity of the market” (p. 133). 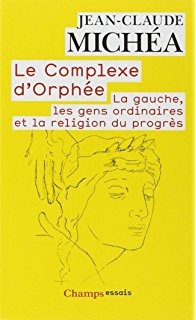 It is a central thesis of the book that liberalism creates individuation in human societies so that the individual is increasingly isolated and social cohesion declines, while paradoxically and running parallel to this development, the economic structures of the world become increasingly uniform, dominated by the power of capital and concentrated in the hands of an increasingly wealthy few. An example of this centrifugal tendency as practiced by the European Union is the new guidelines issued by the Central European Bank to national banks, which state that mortgage loans should only be granted to those who can prove that they will be able to service the debt in its entirety within the span of their working life. This astonishing provision, which has received little publicity, is purportedly a measure to prevent a repetition of the American mortgage crisis of 2008, but if Michéa is correct, it is more likely a measure aimed at depriving the working and middle classes of the opportunity to become property owners. It will effectively accelerate the widely-noted tendency in Europe to reduce the power of the middle class, which is being driven upwards or downwards towards the minority of haves or the majority of have-nots. It used to be a Marxist axiom that the middle classes would turn to fascism if deprived of their livelihoods by capitalism, as an alternative to joining the ranks of the dispossessed. Michéa does not directly reiterate this Marxist analysis but he certainly implies it; he has obviously read Marx, and if he is not a Marxist (he leans more toward the writings of Pierre-Joseph Proudhon, the anarchist/socialist critic of Marx), he certainly owes a debt to the social-psychological analyses of the author of Das Kapital.